← How cold is the ‘cold call’ received by timeshare owners? Once again we have been made aware by consumers about a company called Bordella who is cold calling and claiming to be the “official” liquidators of Reclaim Ltd.
A guy calling himself Ignacio Toledo states they are a company appointed by the courts and handling all claims of consumers who have a Reclaim certificate. The certificate holder can place a claim through Bordella and they will handle all the paperwork and the pay out of the money awarded. Bordella is very clear in all calls that they do not charge any money as their fees are directly paid by the courts. As we have seen previously from similar companies, they state they cannot accept any forms submitted by post to their address in Cadiz, and post will be returned unopened. 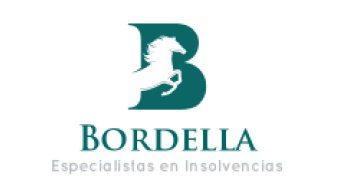 We checked the Companies House website in Spain (www.registradores.org) for the name Bordella and could not find any company registered as such. The only liquidators for Reclaim Ltd are PriceWaterhouse Coopers in Gibraltar. This entry was posted in Legal Services, Mediation services, Warnings and tagged Bordella, Bordello, Cadiz, Cold call, Fake legal services, Fake liquidator, NIE Number, PWC, Reclaim Ltd. Bookmark the permalink. Can you please comment on the below e-mail I received today. When I mentioned your company they began to criticize and belittle the company explaining who and why it was set up, they also directed me to “mindtimeshare truth” stating this would enlighten me as to why “mindtimeshare” were opposed to resales and how they make money each time they receive an inquiry. Look forward to your reply. Regards Please below there e-mail. I have been contacted this morning by a company called http://www.suntravel-int.com apparently based in London, saying they have business company’s looking to buy timeshare weeks in club la costa, do you know of this company and are they trustworthy?